Building a digital experience that boosts brand engagement through Lay’s biggest activation of the year. How do you generate valuable consumer insights while encouraging consumers to engage more deeply with your brand? Participatory Culture: The site encourages consumers to vote, share and contribute their own flavor creations. Recipe for Success: The site features 3D rendered potato chip bags and 570 ingredients to choose from. Custom Ingredients: Customers can even submit custom ingredients, adding an additional layer of personalization to the experience. 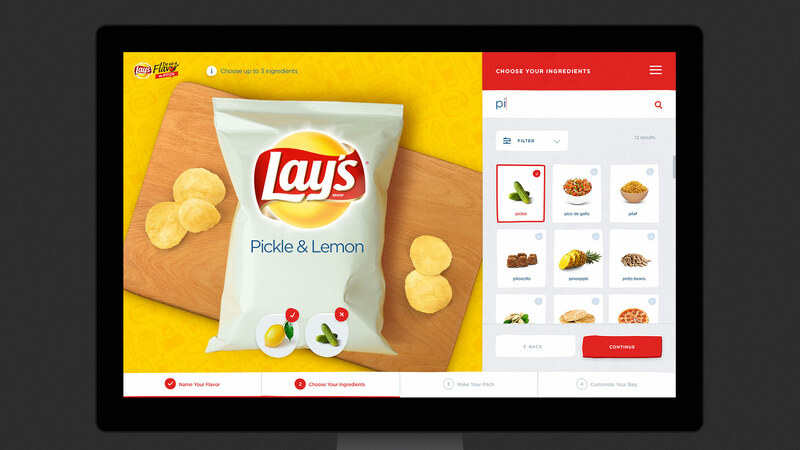 Lay’s annual “Do Us A Flavor” campaign asks customers to invent their own flavors and invites fans to vote on their favorites, offering a $1 million prize to the winner. 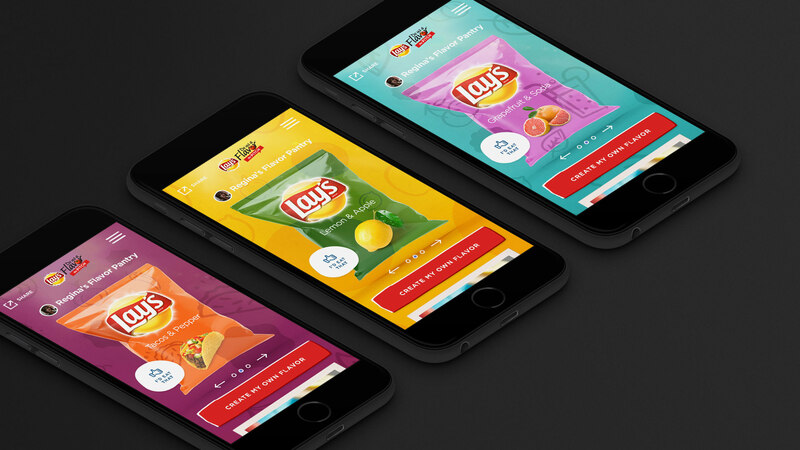 Now in its fourth year, Lay’s wanted to extend the campaign even further, tapping Firstborn to create a digital hub that gives the brand a deeper understanding of its changing consumers’ preferences while simultaneously building social media traffic and brand engagement. The site features a seamless user experience that makes it easy for consumers to name, create and customize their own flavor and package design. Customers can also vote and share their submission within personal social networks or upload photos and videos to create their own flavor pitch, effectively becoming brand ambassadors. Meanwhile, the back-end accommodates moderation and judging that adheres to the strict legal, security and load restrictions of the contest sweepstakes. The metrics dashboard also empowers the brand with consumer insights to better understand its audience while identifying flavor profiles for the future. 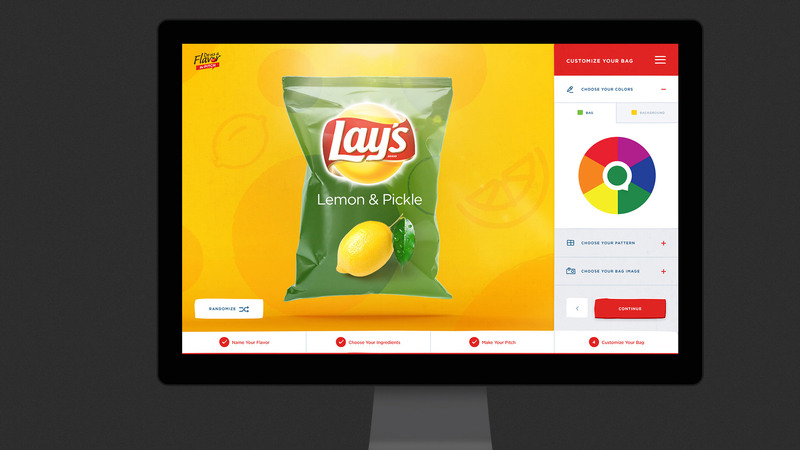 By creating an experience that encourages consumers to engage with the Lay’s brand on a deeper level, we fostered long-term loyalty while increasing sales. We elevated an engagement campaign into a cultural phenomena—which is a win for both consumers and the brand.